KLANG (March 23): Paramount Property unveiled Berkeley Uptown Klang today in conjunction with the opening of the project's show gallery. The 33-acre freehold integrated development is anchored by Sri KDU International School and is located beside Jalan Goh Hock Huat, bordering the Klang central business district on the west. Paramount Property is kickstarting this project with Phase 1 called Uptown Residences comprising 736 units of freehold serviced apartments on over 5.17 acres of land. There will be a mixture of units measuring 859 sq ft and 1,093 sq ft as well as limited garden villa units measuring 1,572 sq ft and 1,588 sq ft. There will also be affordable homes from 551 sq ft at prices below RM300,000. 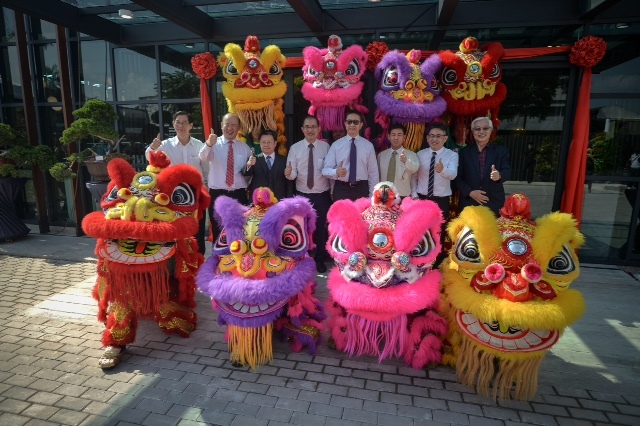 The opening of Berkeley Uptown’s Sales Gallery today was officiated by Selangor State government Senior Executive Councillor, Datuk Teng Chang Khim in a ribbon-cutting ceremony. Also present was Paramount Corp Bhd Group CEO Jeffrey Chew, CEO of K-12 & R.E.A.L Education Group Dr Goh Chee Leong, Sri KDU CEO Eugene Yeoh, Paramount Property COO Wang Chong Hwa as well as Klang City Chamber of Commerce and Industry (KCCCI) President Tan Sri Lim Kuang Sia and Vice-President, Dr Chia Song Kun. Speaking at the event, Paramount Property CEO Beh Chun Chong said it was Paramount’s corporate vision of “changing lives and enriching communities for a better world” that has led it to participate in its first Urban Regeneration Project in this part of Klang, by building a modern and vibrant live-work-and-play community anchored by an international school. 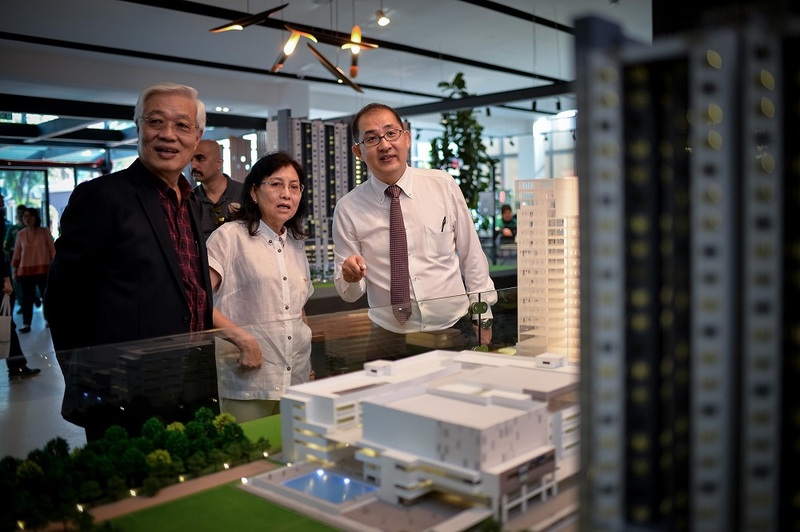 “There is a lack of quality mixed-used developments currently in Klang town centre, which is still occupied by many old residential gardens, shoplots and factories. Therefore, we are extremely pleased that Paramount Property has decided to invest in changing the landscape in Klang," said Teng. “As a group, Paramount is also able to leverage on its expertise as one of the oldest education service providers in the country by bringing in the award-winning Sri KDU International School to Klang. “Indeed, this is one of the main highlights of the entire development. I believe many of Klang’s education-conscious parents will welcome the arrival of a world-class international school right at their door steps,” he added. “At the local council level, we have been working to rejuvenate Klang to make it a safer, more sustainable place to live and to conduct business. I am optimistic that the addition of Berkeley Uptown will boost Klang’s main business hub by creating a new and exciting address which can provide high-quality lifestyle as well as economic benefits to those who choose to live, work and play here. “The area surrounding the Sales Gallery will have different zones for pockets of activities. We plan to curate a retail experience that will include food and beverage as well as lifestyle services with a mixture of established brands such as Family Mart, as well as start-ups. This will happen in the next few months, even before construction is completed as we would like this area to become livelier in the day and evenings, for people to do simple shopping or enjoy meals,” shared Beh. Since May 2017, Jalan Goh Hock Huat has been connected to Jalan Tanjung Shawal by a third bridge. Linked to Jalan Kapar, residents will be able to easily access Jalan Meru and the Federal Highway, as well as NKVE. When completed, Berkeley Uptown will be 3km from the existing Klang KTM station. Additionally, a proposed LRT Line 3 will place it 1.9km away from the new station, allowing convenient access to Kuala Lumpur city centre through its direct link to the Bandar Utama station, which is integrated with the MRT Sungai Buloh-Kajang line.